We all hear the commercials for a new prescription (or read about them in magazines) with a list of side effects: rashes, blood clots, heart problems and sometimes even death! Scary, right?! But what about your morning coffee? 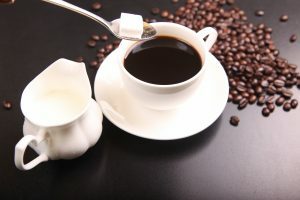 You don’t ever get a list of side effects with the sugar you are putting in your coffee, yet it is just as dangerous. Not only physically, but mentally as well. And, if only it was just the sugar in your morning coffee – think of all the food available today with too much sugar and artificial sweeteners, food coloring, pesticide residue and more, with no warning labels! Dr. David Sack wrote in Psychology Today: Most people know that eating too much dessert and processed food can contribute to physical health problems like obesity and type 2 diabetes. Far less attention has been given to the impact of a high-sugar diet on mental health, though numerous studies have shown the deleterious effects a sweet tooth can have on mood, learning and quality of life. The Dartmouth Undergraduate Journal of Science reported: The past 80 years have seen immense progress in research, primarily short-term human trials and animal studies, showing how certain foods change brain structure, chemistry, and physiology thus affecting mood and performance. These studies suggest that foods directly influencing brain neurotransmitter systems have the greatest effects on mood, at least temporarily. In turn, mood can also influence our food choices and expectations on the effects of certain foods can influence our perception. And what about when you don’t eat? According to C. Wayne Callaway, M.D., associate clinical professor of medicine at George Washington University, “While breakfast increases the metabolic rate by 25%, which is one of the reasons why people report they feel better after eating in the morning, skipping breakfast slows the metabolic rate and leaves a person feeling tired, sluggish, even cold.” Do you agree that a person who is tired, sluggish and cold would be in a bad mood? 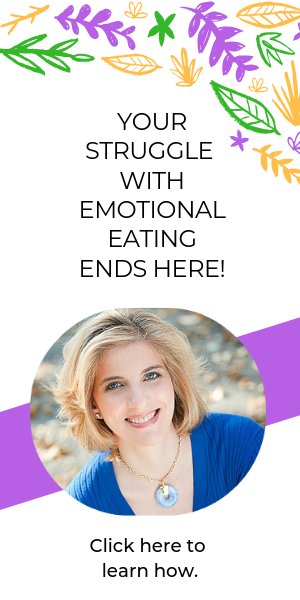 When I think back to the heyday of my emotional eating, I cringe at the thought of all the headaches and bad moods that disrupted my daily life. I always tried to put on a happy face, but I’m sure there were (often) times that people could see right through me. Oh, the judgment! I could go on and on with research and studies and reports on the connection between food and your mood. There really is a body-mind-spirit connection and that’s why eating healthy, nourishing foods for your body is critical to your health and happiness. For example, have you tried pumpkin seeds? Pumpkin seeds are a good source of magnesium, an essential mineral for maintaining a healthy nervous system and energy production in the body. On the other hand, magnesium deficiency can contribute to anxiety and food cravings (chocolate!!!). What did you eat today? How are you feeling? One of the best ways to observe your food-mood connection is to keep a food journal. This is not about counting calories and grams of fat. It is about figuring out how you feel after you eat certain foods. You may be surprised to find that after eating eggs you are bloated and sluggish and after a lentil salad topped with hemp seeds you feel energized. A food journal is an important part of the Set Yourself Free! Experience. Early bird pricing is available now through April 15. 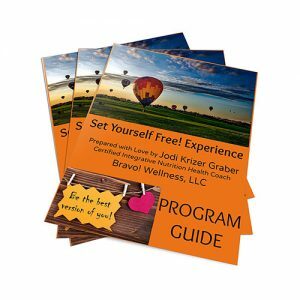 You can set yourself free from the struggles of emotional eating and cravings. I’m here to support you.